COSA Market Day: Come Sell and Shop With Us! Looking to get rid of old items that’s been sitting around the house for years? What about cleaning out your closet to make way for a new wardrobe? Well the Council on Substance Abuse-NCADD invites you to their first ever Market Day Extravaganza on Friday, March 14th from 11AM-3PM! 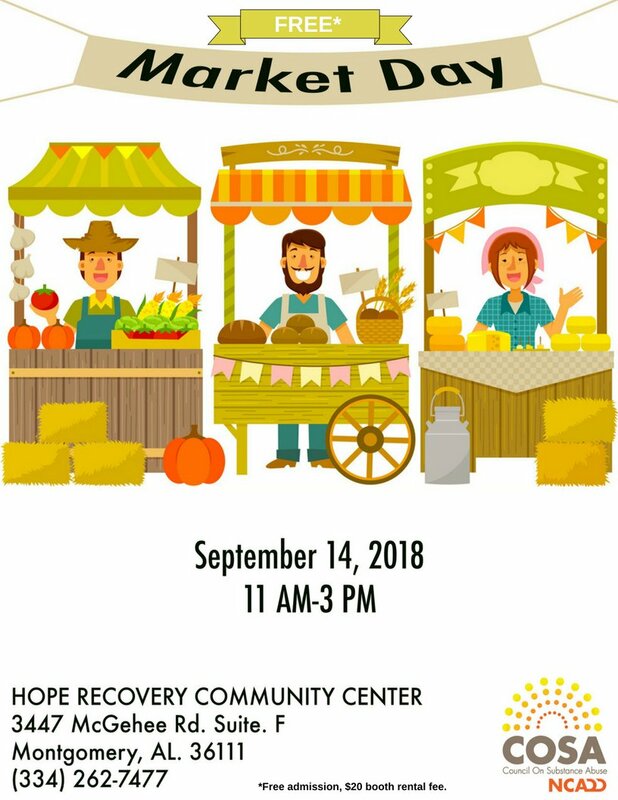 Rent a table for $20, bring your items to our newly opened HOPE Recovery Community Center and let the money making begin.